A specially formulated body oil with Lavender, Grapefruit and Camomile essentials to help promote self confidence, so the true you can shine through. 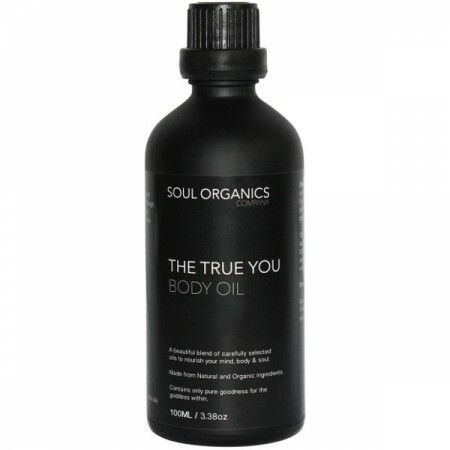 This blend of essential and base oils have been carefully selected to nourish your mind, body and soul. Made from natural and organic ingredients. 100ml. Organic base oils that don't leave skin feeling greasy. Caprylic/Capric Triglyceride (fractionated coconut oil)*, Cocos nucifera (extra virgin coconut oil)*, Prunus dulcis (almond oil)*, Simmondsia chinensis (jojoba oil)*, Persea americana (avocado oil)*, Lavandula angustifolia (Lavender)#, Citrus paradisi (Grapefruit oil)#, Chamaemelum nobile (Roman Chamomile)#. *certified organic ingredients. #100% Pure Therapeutic Grade essential oils. 100ml/3.38oz. Coated glass bottle with plastic cap.